The prevalent and dystopian image of robots destroying jobs rests upon another popular image that has also gained widespread currency: the assumption that labour productivity has increased dramatically. This assumption makes logical sense since the purpose of automation is to increase productivity. Therefore, if robots are replacing human labour on an unprecedented scale, this implies that labour productivity currently increases at a much faster pace than in the past. However, the empirical data show a different picture altogether. 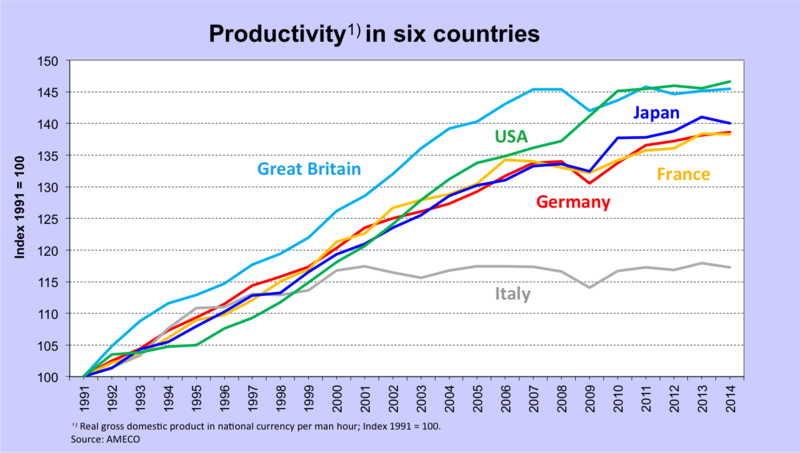 Figure 1 depicts the development of labour productivity per hour (indexed to 1991) in the five biggest industrial countries. The figure clearly proves that productivity growth has slowed down. In fact, it slowed down quite dramatically. The decrease in productivity has been most apparent since the end of the great crisis in 2008-2009. Productivity almost stagnated in each of the five countries – ironically these are the countries you would expect to be the forerunners in technological innovation and progress. The whole article can be seen by subscribers or individual buyers only.